Here's a picture of our premises. 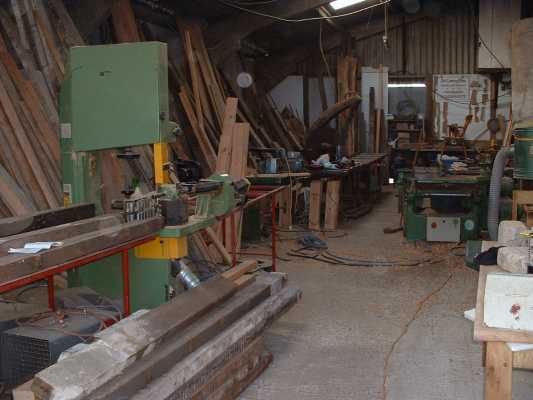 As you can see, it's a workshop full of tools, machinery and bits of wood. We don't have a showroom and we're often out delivering, visiting customers or attending shows. So, to avoid disappointment, please telephone to arrange an appointment before coming to visit the workshop. We are always happy to meet our customers at their own home to discuss special requirements (it also helps us as we can visualize the space the furniture is going to occupy and take our own measurements).